The Thomas Cubitt, named after London’s legendary master builder, is a gorgeous and inviting pub located in the heart of Belgravia. On the ground floor is the pub itself with the dining room located on the first floor. The Thomas Cubitt is owned by the same group who also own The Grazing Goat, and they do a fine job of providing rustic British gastropub food in an inviting setting. 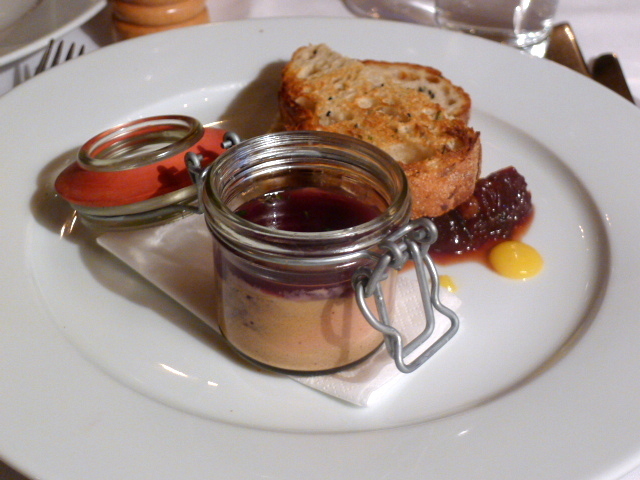 In the upstairs dining room we sat down to a chicken liver and port parfait (£8.50) which was well made, flavoursome and wonderfully creamy. It was paired with a pumpkin, thyme and blood orange compote that was fruity and aromatic, and boasted a good amount of acidity to cut through the richness of the parfait. Seared Scottish scallops (£11.50) were nicely cooked (although one of the scallops didn’t taste fresh). Accompanying the scallops was a lovely smoked parsley root and wild mushrooms, and for texture there were some black pudding crumbs. However these detracted from the dish as they were a bit dry and hard. The plate had not been heated either so the food came out cold. 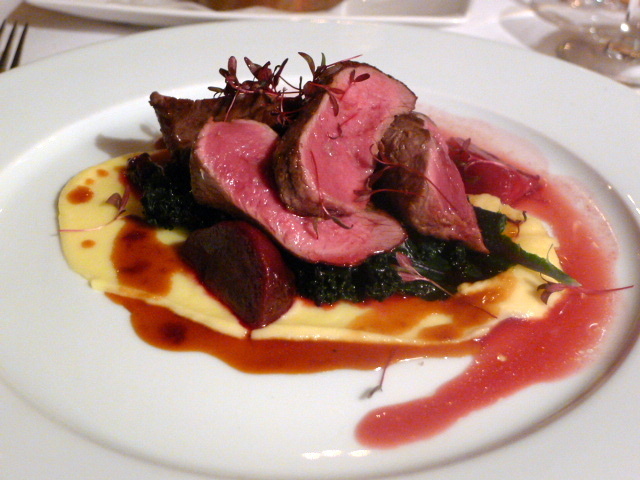 A rare roasted fillet of wild venison (£25.50) was absolutely gorgeous. The meat was super tasty and so incredibly tender you could have cut it with a spoon. The venison was paired with a gently smoked potato, some tasty purple kale, heritage beetroot and a blackberry jus, all of which worked well together. This was a really great plate of food, let down somewhat by the fact that it was cold. 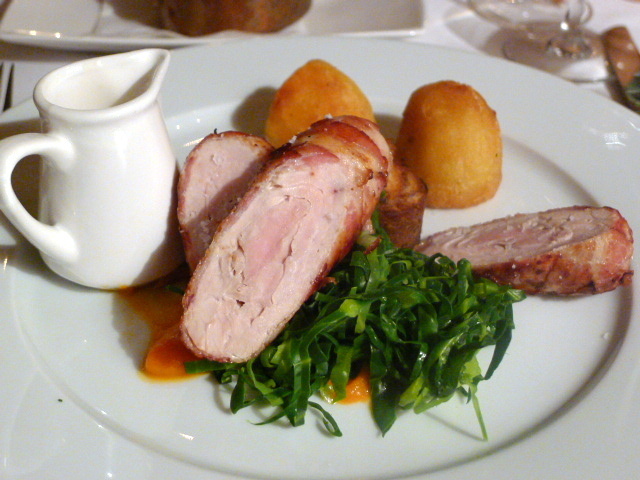 The smoked bacon wrapped turkey breast stuffed with chestnut and cranberry (£17.50) was also pretty fault free. It was well cooked, moist and full of flavour. There were also all the trimmings of pumpkin, Brussels tops, bread sauce, as well as a slow braised Turkey leg, all of which came together nicely. Only the roast potatoes weren’t particularly crispy. A dark chocolate fondant (£7.50) oozed with chocolate-y goodness but was a bit too runny. 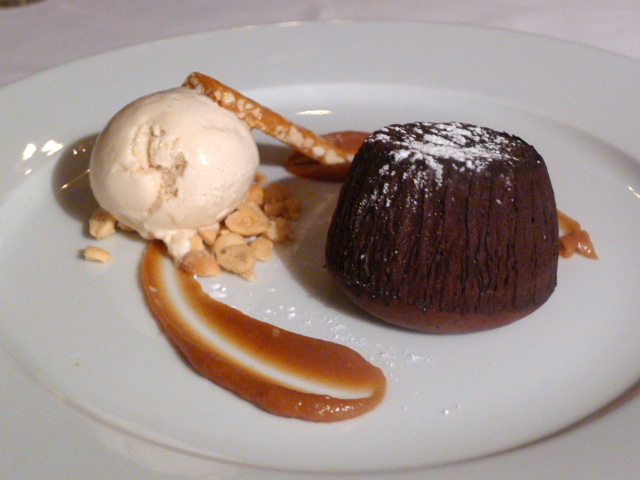 Some peanut caramel and roasted peanut ice cream worked a treat with the fondant, adding both texture and taste. The pineapple on a pineapple tarte tatin (£7.50) oozed with juiciness and was delicious. 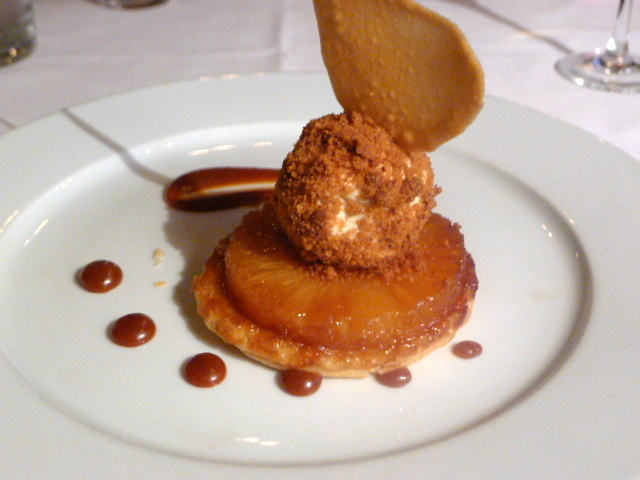 A spiced caramel and a gingerbread parfait added a Christmasy touch to the tarte tatin. It was a pleasant dessert, but the pastry could have been more buttery and flakier. 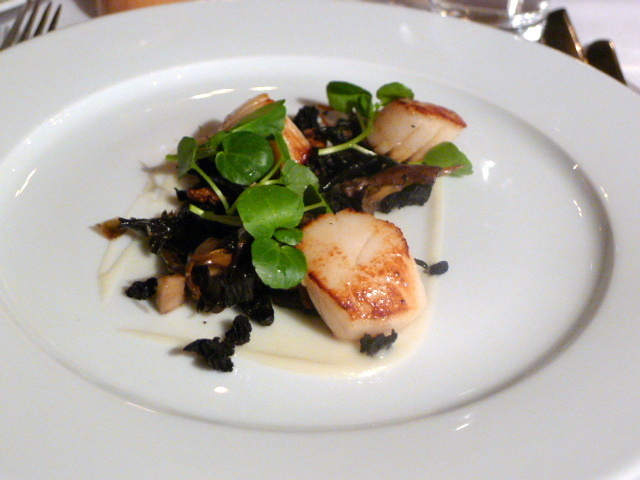 There was some accomplished cooking to be had at The Thomas Cubitt. Particularly winning were the wonderful mains, especially the excellent venison dish. Some of the cold plates detracted from the experience however, but otherwise this was a satisfying meal rounded off by some lovely service. For my blog post on The Grazing Goat, click here. About £32 to £47 for three courses in the upstairs dining room, excludes drinks and service.